When we say a lead is “hot,” what do we mean? It’s kind of a subjective description, isn’t it? Exactly when is a lead “cooked” enough to go to sales? Such is the eternal struggle of sales and marketing teams across the world. 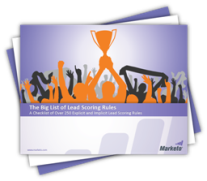 The most essential aspect of lead scoring is that it is a shared methodology between sales and marketing. 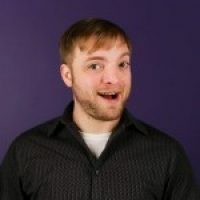 There must be organization-wide buy-in on your company’s lead scoring criteria, or else it will only serve as another basis for the two departments to blame each other as scapegoats for lost revenue. To achieve this type of sales and marketing alignment requires building the revenue engine together from the ground up. This begins with identifying your ideal target, then defining the exact implicit and explicit factors to consider when scoring a lead as marketing- or sales-qualified. To be honest, it’s easy to agree on these factors most of the time, because the vast majority of them are common sense. All the process takes is investing a bit of time to decide on a scoring system for the tidbits of information you’re constantly attaining about your prospects. This is like shooting fish in a barrel. Explicit criteria include objective demographic information such as job title, type of email used and social media influence can be gathered by spending less than 60 seconds on LinkedIn, Jigsaw and/or Twitter. Dive a little deeper and grab some financial rankings, stock indexes, locations, years founded or geographic markets served, and your lead scoring system will be even more optimized for revenue-driven success. Just to be thorough, I’ll mention relationship scoring, such as previous relationship (ex-customer, etc.) and lead source – although these should be on your radar regardless, or you may want to check to see whether your radar is even on! Here you may have to roll up your sleeves a bit more. Implicit scoring requires a well-defined behavior tracking system. How does the unqualified potential prospect, a.k.a. “name,” interact with live streamed events or trade shows, for example? Do they register, attend, download content, or none of these? Which surveys, if any, has the “name” filled out, and what were their responses? Digging deeper, what web pages have they viewed, and what was their search activity? By the way, don’t make the mistake of limiting your implicit scoring to only those working their way through your revenue funnel. How are your existing customers behaving? Set up an online community and score behaviors such as suggesting ideas or asking/answering questions, too. Another common mistake is limiting scoring to positive behaviors; it’s ok, even advisable, to deduct points for “misbehaving.” An email unsubscribe, lack of web activity or a negative social media comment can definitely deduct major points from one’s lead score. At the end of the day, lead scoring simply expands upon the age-old concept of listening to what your customers and potential customers have to say, through their behaviors, demographics or just plain feedback. So start today: schedule an hour-long meeting, pass out our Big List of Lead Scoring Rules, and watch your revenue engine take shape.